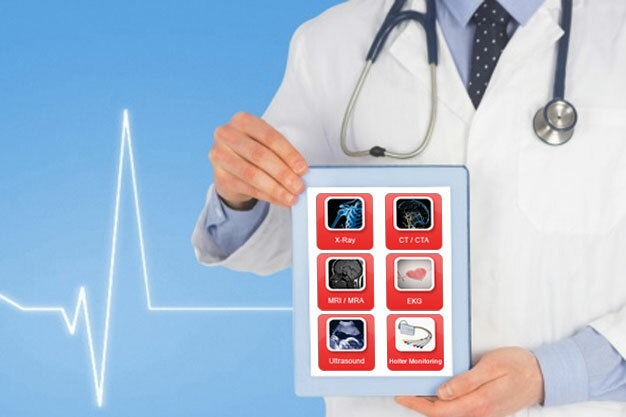 AMRADNET boasts a faster turn-around of radiological reports and superior overall care for patients because of its own fully functional cloud-based RIS, PACS, clinical and operational workflow solutions, developed specifically for Hospitals, Imaging Centers, Portable Healthcare Providers and Urgent Care Centers. Our Application Suites address critical issues of workflow and cost management, revenue management, customer relationship management, medical coding, billing & collections, and provides continuous technology upgrades. For the first time ever, our patients and their families can participate in their care by accessing images, reports and physician online. OCEAN, our powerful social platform for healthcare, allows patients and their family members to manage and securely share their medical information. Physicians also have a greater control over their patient’s conditions, allowing them to deliver a higher quality and more personalized care. Only our comprehensive and end-to-end solution promises such a significant savings potential across both the clinical and operational workflow. We deliver unsurpassed radiology service to our clients by leveraging the use of our advanced digital technology, state-of-the-art process and a large network of US-based American Board Certified radiologists. Our services can be customized as per the needs of each of our clients, with coverage spanning 365 days of the year. AMRADNET® offers both preliminary and full final reports for emergent studies. Be it preliminary or final, we consistently deliver decisive reports with committed turnaround times. We also offer subspecialty interpretation services for imaging centers, hospitals and physician practices nationwide. Subspecialty Reports are provided by our experienced fellowship trained radiologists. Our vast subspecialty expertise includes Musculoskeletal, Neuroradiology, Nuclear Medicine, PET, Body Imaging, Ultrasound, MRI, Abdominal Imaging, Trauma/Emergency and Gastrointestinal / Genitourinary Diagnoses. Rest easy with the on-site coverage to hospitals and diagnostic centers that is provided through our nationwide network of radiologists. Whether it is locum or permanent position, AMRADNET physician and credentialing services arm can efficiently manage your resource requirements. We offer an unparalleled Clinical and Operational solution for hospitals, imaging centers, portable diagnostics and urgent care centers. Our clinical solution includes FDA cleared PACS with a brokerless RIS complete with voice recognition system for our clients and Radiologists. Our radiology practice is fully automated including our second opinion and peer review system. Our solution also integrates well with third-party PACS systems and EHR systems. We also offer different flavors of cloud-based infrastructure to our clients to secure and share medical data. All of these tools are at your fingertips, and can be an unbeatable value for you.